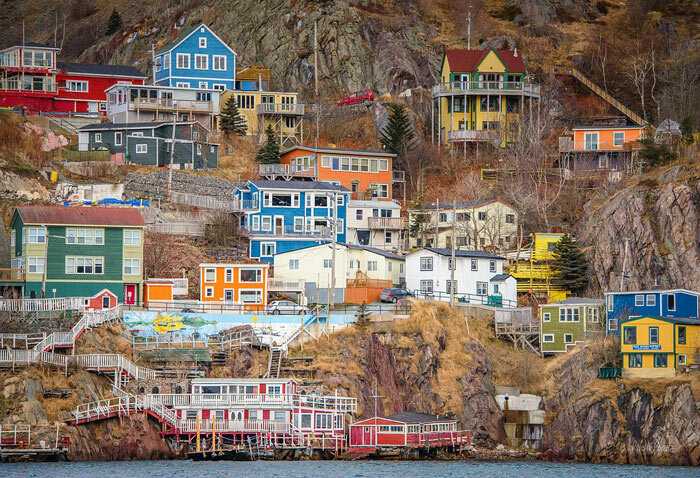 St. John’s in the province of Newfoundland and Labrador is often known as the oldest Canadian city, but it also happens to be one of the most beautiful places in all of Canada to visit. With everything from natural wonders and rich history to awesome seafood and a happening pub life, St. John’s has it all. If by any chance you have not visited the city yet, here are nine reasons why you need to make that trip as soon as possible. The very first reason why you would want to visit St. John’s is because the city is just so close by and yet, it provides an experience like no other. 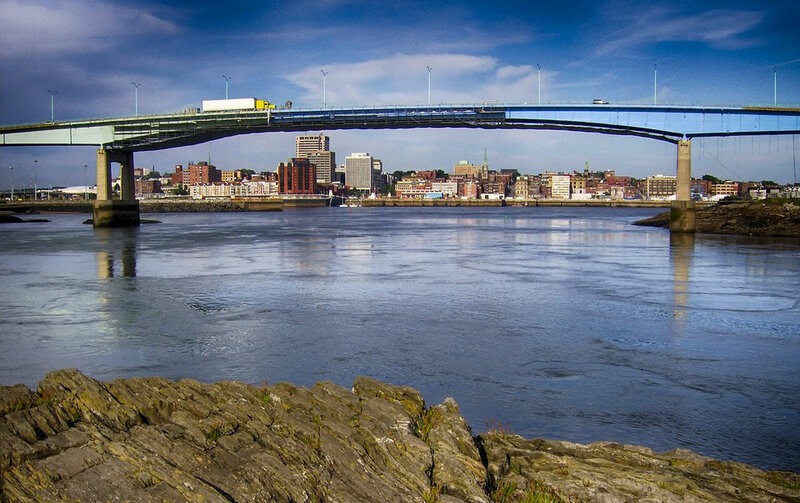 Flyporter.com offers flights to Saint John’s from Toronto that will take you there in roughly three hours; which is nothing short of amazing, given the differences in scenery and environment between the two places. It’s like taking an exotic holiday to Europe without having to travel across half the world to get there. If you want to get a wonderful view of the Atlantic from the top of a hill, there’s very little that can match the view from Signal Hill. On top of the hill awaits the iconic Cabot Tower and on following the open trail up there, travelers will find the Queen’s Battery Barracks built in the 1800s. The National Historic Site is a beautiful combination of natural beauty and the region’s rich history, with a sense of isolation that will put your mind at peace. 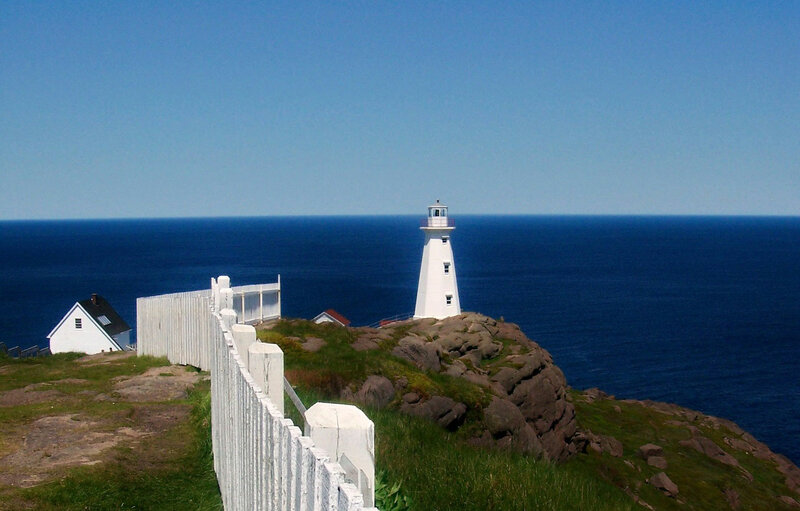 The Cape Spear Lighthouse is another of Canada’s National Historic Site, and it’s situated at the eastern-most point on the North American continent. There are actually two lighthouses here alongside multiple small cliffs. Now, the place is actually outside the city boundaries, but it’s close enough for a quick visit. Why is it a reason to visit St. John’s? Well, it happens to offer a wonderful view of not just the ocean and occasional floating icebergs, but it is also a prominent point for whale watching. Take a trip to the Cape Spear Lighthouse at night and watch the gorgeous sunrise while you are at it; it’s one of the best that you will ever see in Canada. As you can imagine, a place named after the apostle will have a few places dedicated to him and no other building in the city is as historically important as the Basilica of St. John the Baptist. It’s a beautiful piece of iconic architecture on 200 Military Road that is famous for the Our Lady of Fatima statue outside and its lavish and flamboyant gold leaf ceiling inside. The two towers on the sides that soar high above the main building are 46-meters tall each. If you are even remotely religious, you need to visit the place, and even if you are not, just the architectural beauty of the place deserves a visit for sure. The history of Water Street goes back several centuries as it was founded over four-hundred years ago, as the commercial hub in St. John’s. While things have gone through a lot of changes since those days, Water Street still continues to be one of the busiest places in the city, always bustling during business hours with souvenir shops, eateries, bakeries, and tourists. Water Street sees a high number of travellers all through May to December, especially since the transatlantic cruise ships dock right next to it. If you are in St. John’s, you really need to visit the Water Street Market and the surrounding streets. Of course, the famous East Coast Trail is not exactly in St. John’s, but by heading north towards Cape St. Francis from St. John’s you will be able to find a good access point to the developed trail, which heads south and leads to Cappahayden. Cliffs, fjords, sea stacks, lighthouses, forests, bird colonies, whales, and icebergs; there is just so much more to see on the trails that this place alone is enough of a reason for any hiking enthusiast to pay a visit to St. John’s. If you are an experienced hiker and you are feeling particularly adventurous, keep in mind that there are over 240 kilometres of undeveloped, remote trails to hike on the East Coast as well. It’s almost impossible to brand a city as “must-visit” if it doesn’t have a grand local cuisine to offer its visitors, and St. John’s certainly isn’t lacking in that department. Famous for its seafood and fresh meat, St. John’s has some of Canada’s most famous restaurants, which make all their dishes primarily from local resources only. There’s fish and chips, coconut red curry mussels, pan-fried cod, shrimp diavollo, bakeapples, and so much more to keep your taste buds tingling here. The beautiful fishing village of Quidi Vidi is the best place to enjoy the local food because it has the freshest and the best-tasting food in all of St. John’s. As far as the drinks are concerned, St. John’s is famous for adding a little customisation to traditional drinks, in addition to brewing some decent craft lagers (there are actual St. John’s Beer Tours here!). For example, have you ever tried “iceberg-infused rum?” Keeping the drinks under control is advised though, if you plan to truly enjoy the city’s bustling nightlife and attend at least a few of the live music jams that happen almost every night. Most of them are not even paid musicians, but just local folks that come together to make music and provide entertainment to everyone. There is just something magical about ziplining over a beautiful natural terrain and that’s exactly why this one’s on the list. Unless you have ziplined from platform to platform over the Petty Harbour, you won’t know what we are talking about here. Even if you have ziplined before, this is the longest line in all of Canada, so it would be quite a unique experience. If you have never ziplined before, let your first time be at St. John’s and over Petty Harbour to make it memorable forever. There’s something about camping on the beach and roasting marshmallows over a bonfire that you have built yourself, which is very satisfying and relaxing at the same time. Head over to Middle Cove Beach just out of town during the warmer months and you will be able to do just that. Bring your own firewood and always arrive early or all the firepits might just be taken up. You can just make your own fire pit with stones, of course. The only thing to keep in mind is the weather, so try to keep your trip to St. John’s (and the province of Newfoundland and Labrador in general) between the months of May and December because after that, it might just become a bit too cold for enjoying a nice vacation.